The exterior look of your house is critically important. The paint on a house is one of the first things people notice about it. An attractive, well-done paint job can make all the difference in the world. A great looking paint job can make the kind of positive impression that sticks with people long after they’ve left your house. On the other hand, a poorly done or faded paint job can make a negative first impression that can be very difficult to come back from. 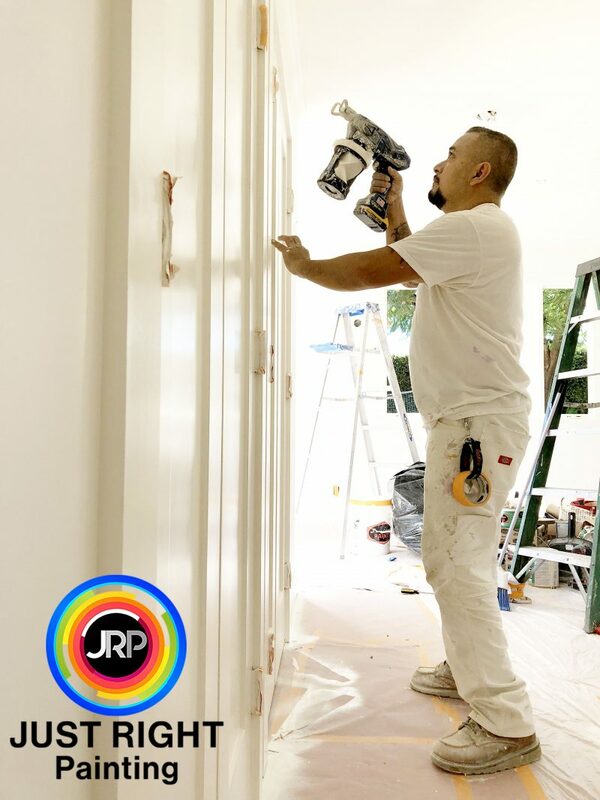 Here at Just Right Painting, we can put our interior and exterior residential painting to use for you. That being said, it’s important to have great interior and exterior residential painting. No matter how great the paint job outside the house is, if the interior is lacking, it can make a horrible impression. Consequently, with an interior that looks as great as the exterior, your home will absolutely sparkle. 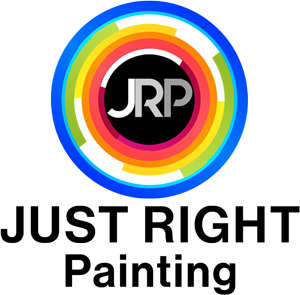 That’s what we specialize in here at Just Right Painting: ensuring that you have a home that looks incredible all over. An exterior paint job can do so much more than just make your home look better. For one thing, it can increase your home’s re-sale value significantly. When a prospective buyer sees a home that’s been freshly painted, it can take years off of the home’s appearance. Your home will look younger and stronger. Better still, we use high quality materials and techniques. So, your home will maintain that “just painted” look for a longer period of time. Whether you choose to resell or not, your home will appreciate in value and look great for all who pass by. 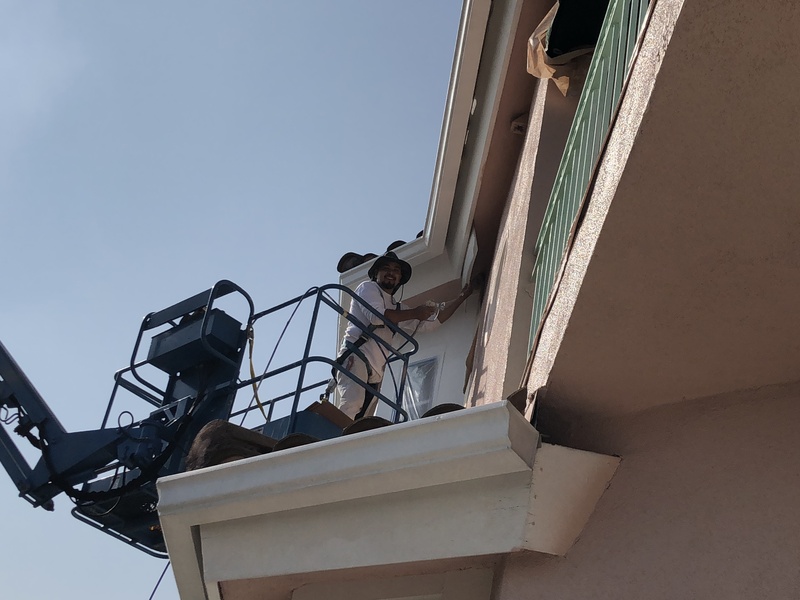 The truth is, your interior and exterior residential painting in Los Angeles is too important to be left to anyone other than the professionals. Each of our painting contractors are experienced, bonded, licensed, and completely ensured. That means that when our painting contractors are on the job, you don’t have to worry. You know that the job is going to be done well and to the highest standard. We pride ourselves on not just offering a great paint job, but peace of mind as well. One of the more overlooked benefits of a great paint job is how it can actually protect the entire home just a bit more. In Southern California, the sun and the rains can take quite a toll on an exterior. A paint job can help to eliminate some of that damage. In fact, you can help to control the effects of wear and tear on your home with one of our quality paint jobs. When other people’s homes have faded, tired appearances, yours will continue to be vibrant. We always aim to offer the community more than just the best residential painting services. So, to that end, we also donate at least one painting project annually to an organization for veterans or a non-profit. It’s just one small way that we can give back. We take great pride in being part of the community. We aren’t just painting contractors; we’re your neighbors, too. It’s just one more way that we can help. When you get the exteriors and interiors of your home painted, it can change so much about the home. Many times, new home owners will hire us to repaint the entire house. That way, our painting allows the homeowners to truly claim the house as “their own.” They picked the paint job that spoke to them, that complemented their design dreams the most. By that same token, we also have repainted many exteriors and interiors for folks who have lived in their home for a long time. In those cases, our painting serves as a complete makeover: they get to have what feels like a new house without having to pay for one. When we say we offer an “interior and exterior residential painting in Los Angeles County,” we mean it. Our painting contractors can come out to you whether you’re in West Hollywood, Beverly Hills, Santa Monica, Malibu and more places. No matter where you might be, we treat your property as if it were our very own. That means that we’re as careful and cautious with it as we would be if we owned it ourselves. So, we make sure to leave with your home both properly painted and thoroughly cleaned. There are many wonderful homes throughout Southern California that have wallpaper and painting that can generously be called “outdated.” You shouldn’t have to live with that. We love talking to potential clients about all the various painting we can do for them. That way, you can find the best painting options to match exactly what you want your home to be. After all, you’re going to spend most of your time in your home. You should have painting that is what you want it to be, that you can appreciate whenever you’re around it. Over the years, we’ve found that most people don’t realize all the benefits to painting their interior walls. One of the best parts of a new paint job is that it seals out moisture. That way, your walls are more protected than ever. It can help to keep out dust, dirt, mold, mildew and more. Fresh paint doesn’t just radically change the look of a room; it can radically raise its protection level, too. We call our company “Just Right Painting” but we could’ve called it “On Time Painting,” too. We always arrive at your location ready to get to work and on time. The last thing anyone should ever have to worry about is the painting of their interior and exterior. We take pride in providing painting as well as peace of mind. To find out more about our residential as well as commercial cleaning services, give us a call at (888) 727-8417 or go to our website.